The Welsh Terrier was developed in Wales and was bred to hunt, especially fox, badger and otter. They were perfect for getting in the dens to drive out prey. 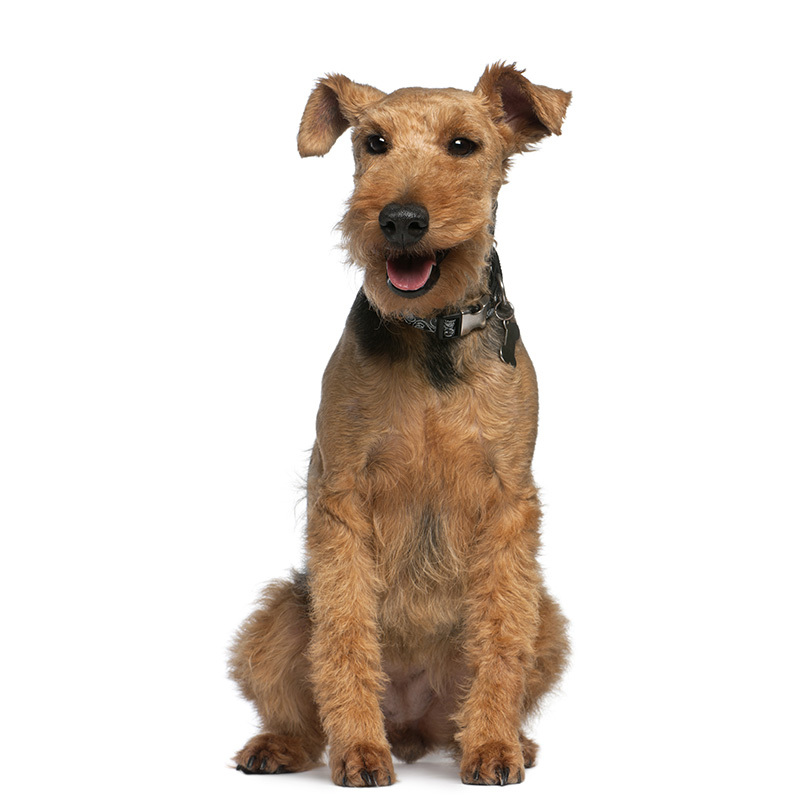 The Welsh Terrier was originally called the Black-and-Tan wire Haired Terrier or the Old English Terrier. They arrived in the United States in 1888, and their popularity has grown at a steady pace. The Welsh Terrier is a cheerful, active, fun-loving dog who just might be the calmest of all the terrier breeds. However, they still are very active and will play fetch for hours and will want to be involved with whatever is happening with the family. They love to swim and they excel in agility and obedience training. The Welsh Terrier is patient and loving with children, but as with all dogs, need supervision for the safety of both the child and dog. They are so cheerful and want to please. The Welsh Terrier’s disposition and energy make them excellent family pets. The Welsh Terrier usually weighs between 18 to 23 pounds and stands up to 15 inches tall. They look like a small version of the Airedale Terrier. They are a medium-sized dog with a stocky build. Their coat is wiry and dense and ranges in colors from black to tan to grizzle with a black jacket marking over the back. Like many terriers, this breed has a strong drive to chase prey. They are a low- to non-shedder, which makes them ideal for people with allergies. They like to be up in high places and will climb onto high furniture. These dogs are best suited to an active family as these dogs need plenty of exercise.